Ten Real Audio :-( tracks spanning some fifty years of South African music from 50s kwela to 90s bubblegum. 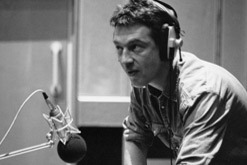 Presented by Andy Kershaw, the flippin’ hypocrite fades each track after only about 30s – in much the same way that Kirsty Young curtailed Andy’s Desert Island Discs – much to his annoyance! Still, there’s some good stuff that might be new to you, and it’s free! So check it out..